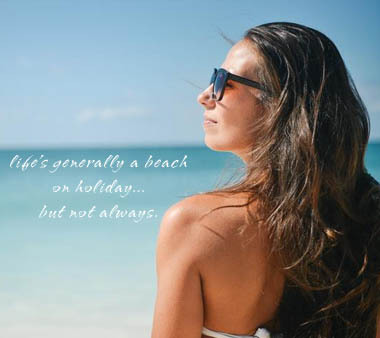 We all do it – travel without health insurance! I am as guilty as the next person. We book online with credit cards for our flights and hotels, and uncheck any boxes asking us to opt in for travel and health insurance. We can now hop to European cities for a quick break at a moment’s notice. What could possibly go wrong health-wise on a mere three days in Berlin, or Amsterdam, or Rome? Well, as I know from experience, things do go wrong on holiday. I had an uncle from the UK taken ill the very day he arrived in Malta. And the chances are, with the kind of full-on, stressful working lives we lead, once you let up a little from your hectic routine and hop abroad, your body gets it revenge and knocks you for six. There’s also another risk when you’re abroad. You don’t know the place like the locals do, and can get into difficulties – accidents do happen. Malta sees its share of incidents each year – many taking place in or near the sea. Visitors just aren’t as aware of the dangers; even a calm sea and a hot sandy beach have hidden dangers. You just never know when you might need emergency treatment. Equipped with the European Health Insurance Card, you can leave home with greater peace of mind. What’s more, it’s free! The aim of the EHIC is to give allow EU citizens (and those of the other countries mentioned above) to receive reciprocal emergency healthcare during a short stay of up to three months. This is the usual period permitted in any EU country for a short stay before you have to apply to residency status. The card lasts for varying periods, depending on which country you applied for it in. Generally, you can expect like for like care; but it’s best to download the App here so you have the EHIC details of your destination country to hand. Cards are issued by your national health insurance provider and needs to be applied for around two weeks before travel, in Malta’s case. Don’t leave it til the last minute! Just note that each member of a party needs a card; there is no blanket group or family card. 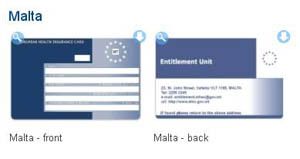 The card is for EU citizens (and citizens of the four other countries listed above) but people from non-EU countries who are legally residing in the EU and are covered by a state social security scheme are also eligible for a card. a Guide on how to use the European Health Insurance Card in the 28 EU countries, Iceland, Lichtenstein, Norway and Switzerland. General information about the card, emergency phone numbers, covered treatments and costs, how to claim reimbursement and who to contact in case you have lost your card. Note the wording quoted above carefully. Medically-necessary means emergency healthcare. The card is not there to facilitate planned medical treatment – ie. ‘health tourism’ drawing on state healthcare services. If you are moving your place of residence more permanently, you will need to register with the S1 form instead of using the EHIC to receive medical care in your new country of habitual residence. If you are a Maltese citizen or legally residing in Malta, and covered by the national social security legislation, you can apply for your EHIC card online here. You need to apply at least 15 days before you travel. It is processed on a first-come-first-served basis, so allow time for your application. General information, please see the Europa website details here. If you are an EU citizen or a citizen of Iceland, Lichtenstein, Norway and Switzerland, you will find details of how to apply for the card in your country, prior to travel.